Having a lighting or grip emergency? You can reach us 24/7! You will be directed to our After Hours Assistant through the main office recording. 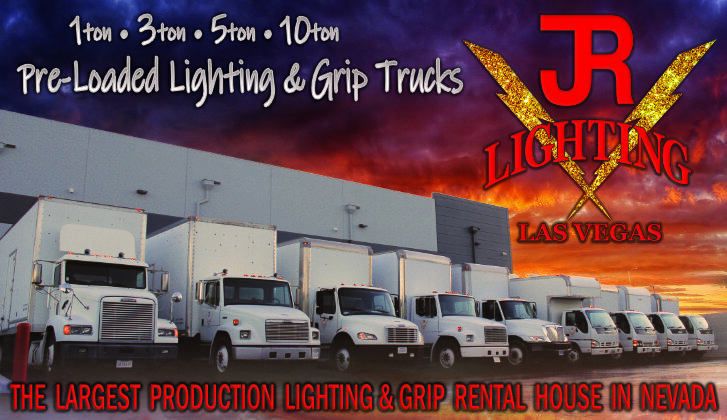 JR Lighting is the largest Production Lighting and Grip Rental Company in Nevada. 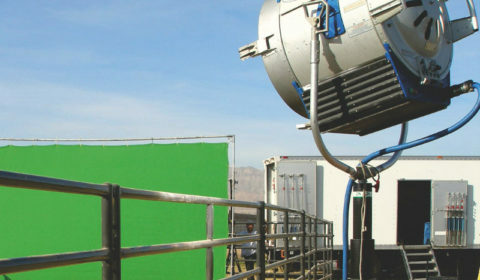 Renting quality, production lighting and grip equipment to all of Las Vegas as well as the surrounding areas. Including; Pahrump, Valley of Fire, Mt. Charleston, Boulder City, Henderson in addition to outlying areas in Northern Nevada, such as Reno and Carson City and we also often go to Death Valley. 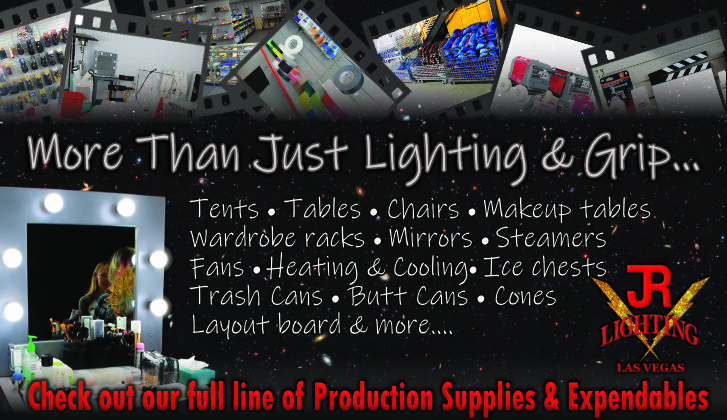 When it comes to production lighting and grip rentals, we offer it all! HMIs, Tungsten, Kino Flos, LEDs, Chimeras, in addition to Fisher Dollies, Cranes, Remote Heads, Overheads, Car Mounts, Movie Quiet Generators, Complete Line of Expendables, all the usual Production Supplies including Wardrobe Mirrors, Makeup Tables and Steamers, as well as referrals for experienced, friendly crews. 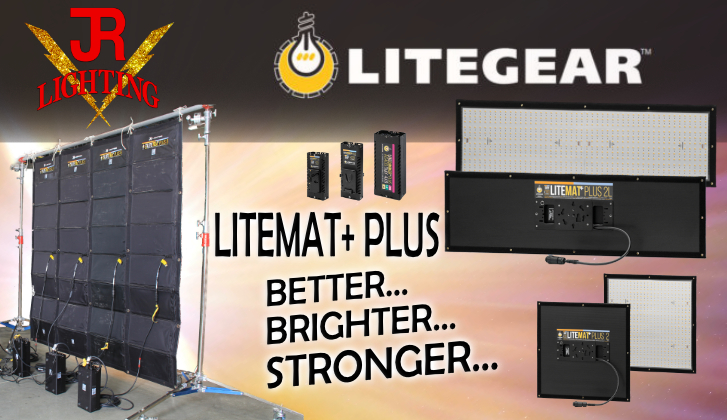 Furthermore, check out our 10-Ton, 5-Ton, 3 Ton and 1-Ton Pre-loaded Lighting & Grip Truck Packages. We also have a large selection of Pro-Foto Strobes and Modifiers, in addition to Pocket Wizards, Tripods, Umbrellas, Reflectors, Backgrounds, and Seamless. We also provide referrals for Photo Assistants. 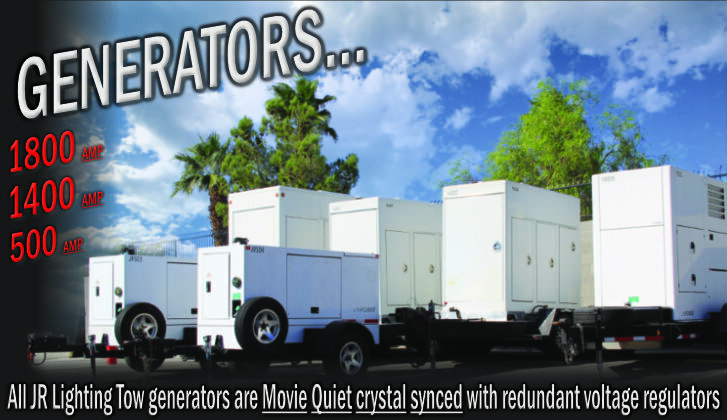 Need your gear delivered to your production’s location? No problem. Want it delivered to your hotel? We can do that. Over night Delivery? JR Lighting has you covered. Talk to one of our Rental Agents to arrange what, when and where you need it. And, yes, often times we can leave it with the Bell desk! Would you like a quick demonstration on how to use a piece of gear? Just ask us. Whether it's just a refresher on how to set a C-stand, best practice techniques, to how to rig that car mount. 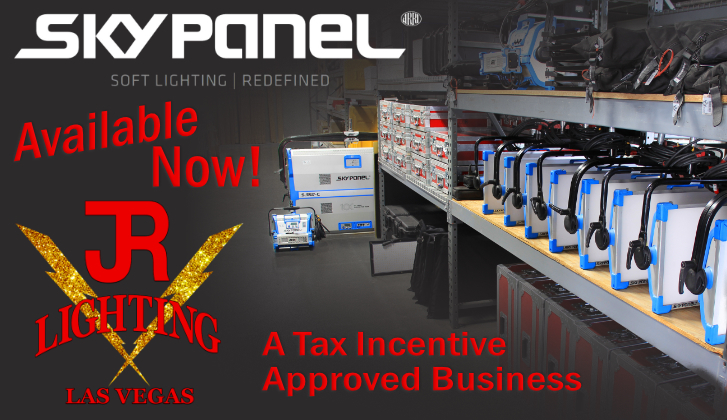 We can even demo lighting like the latest LED, the Skypanel. One of our experts will take the time to be sure you are comfortable with your gear! 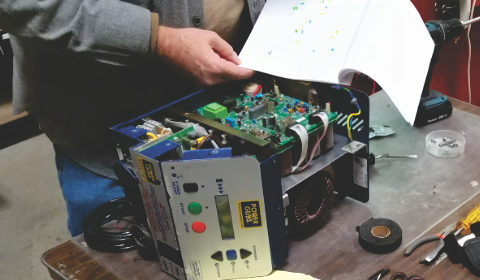 We do all the preventative maintenance that manufacturers like JL Fisher, Mole Richardson, Kino Flo, ARRI, American Grip and more recommend. All gear is thoroughly cleaned and checked before it goes out and when it comes back. Maintaining gear isn't just a slogan. It's the JR Lighting way! 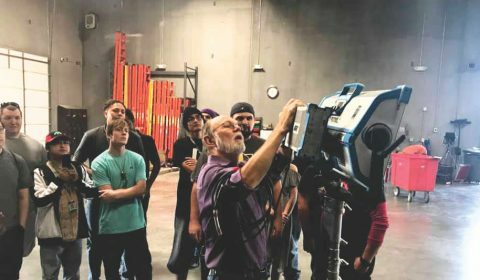 Is a full service production Lighting and Grip rental company, which rents Lighting and Grip equipment to the Film and Television Industry. Our Primary Clients are Agencies and Production Companies that produce local and national Advertising, Films, Television Shows and Music Videos. We pride ourselves on fanatical equipment maintenance, extreme service and working within your budget. We’re open 8 to 5 Monday through Friday but you can always reach us 24/7, which is what you need in a town that never sleeps. Trucks, equipment, and generators are also available to serve projects in Utah, Arizona and are EPA Compliant for California. 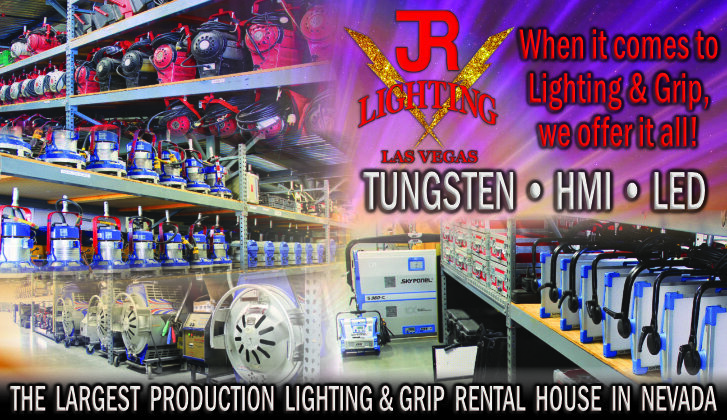 JR Lighting is the largest Lighting and Grip Equipment rental Company in Nevada and is a Tax Incentive approved business. Contact us!